What Can a 63-Year-Old Pole Dancer Teach Us About Life After 60? Greta Pontarelli is not your typical 63-year-old. Not only was she a winner at the 2014 World Pole Sports Championships, but, she was also the oldest person ever to compete on the TV show American Ninja Warriors. What Does Life After 60 Mean to You? When we reach our 50s and 60s, there is a natural tendency to want to slow down a bit – that’s certainly what the world seems to expect from us. But, the baby boomers I know are different. Our generation is not willing to take the aging process sitting down. We want to pursue our passions. We want to learn new things. Most of all, we want to get the most from life after 60. If anything, life after 60 should be a time when we can stop thinking about what other people think of us. If you want to learn pole dancing, like Greta, I say, “go for it!” If you want to be a DJ, like Ruth Flowers, get yourself a set of turntables and start spinning today! Here is a video of Greta at the 2014 World Pole Sports Championships. Personally, I can’t help smiling (in a good way) every time I watch this. I hope you enjoy it too! 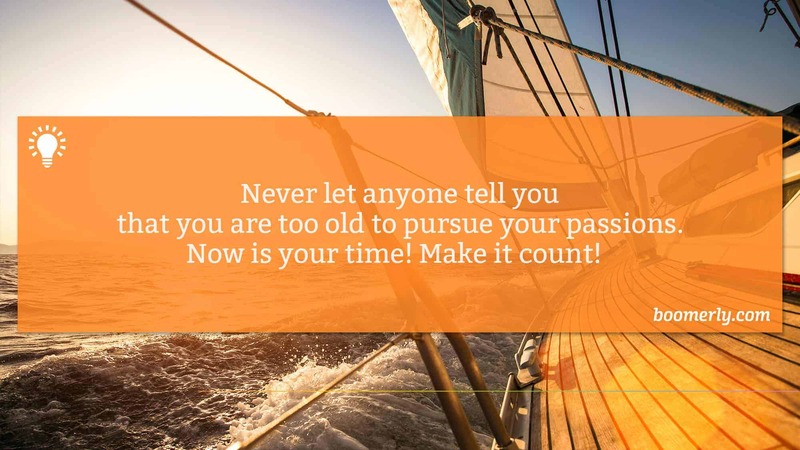 What passions do you want to pursue now that you are in your 50s or 60s? Please join the conversation below.